A drama about a duel for dominance in the corporate boardroom, Executive Suite takes an admirably direct route towards its objectives, but in the process sacrifices character depth and elaboration on plot subtext. In New York City, Avery Bullard, the President of large Pennsylvania-based furniture manufacturing firm Tredway Corporation, drops dead on the sidewalk. Avery never appointed a successor, and at the company headquarters office building a power struggle erupts as the Vice Presidents immediately start to manoeuvre themselves to succeed him. The men in contention are the ambitious Finance chief Loren Shaw (Fredric March); the womanizing Sales VP Walter Dudley (Paul Douglas); the elderly Treasurer Frederick Alderson (Walter Pidgeon) who was closest to Bullard; the young and idealistic VP for Design and Development Don Walling (William Holden); and Jesse Grimm (Dean Jagger), VP for Manufacturing. Matters are complicated by majority shareholder Julia Tredway (Barbara Stanwyck), the daughter of the company's founder, and Board of Directors member George Caswell (Louis Calhern), who is looking to financially profit from Avery's unexpected death. The women in the lives of the men are Don's wife Mary (June Allyson), who is urging her husband to quit Tredway and pursue his dreams away from corporate politics; Eva Bardeman (Shelley Winters), both secretary and mistress to Walter Dudley; and Erica Martin (Nina Foch), Avery's loyal secretary. As the Board of Directors gets to ready to meet and appoint a new President, Shaw pulls all the strings to try and control the outcome in his favour. But his uncompromising bottom-line focus does not sit well with Alderson and Walling, who start looking for an alternative, with unexpected results. 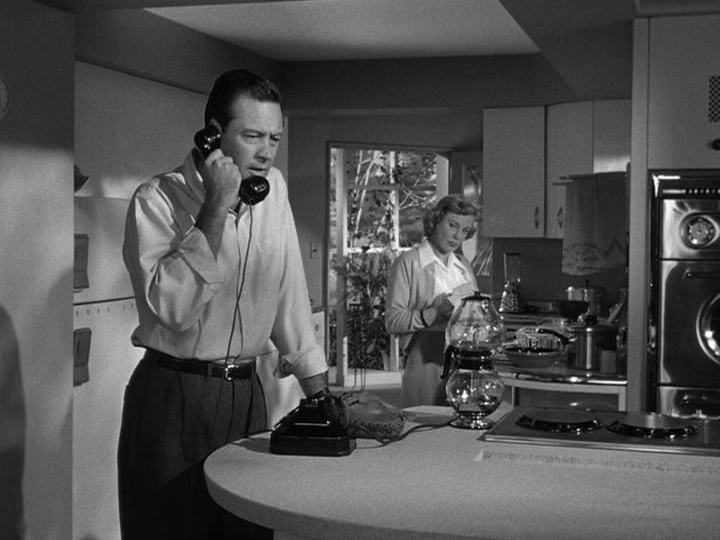 Directed by Robert Wise, Executive Suite is an almost mechanically-tuned examination of boardroom politics. The film is brisk and pointed, with the all-star cast in fine form. But the Ernest Lehman script is a bit too crowded with many similar middle-aged men, and a bare minimum of texture is offered to differentiate them. Tredway is plunged into a crisis, the power plays kick-off, and not enough breathing room is afforded for the men to establish who they are and why they may or may not deserve a promotion to the top chair. Eventually Shaw emerges as the beady-eyed schemer and Don as the optimistic designer harbouring dreams of technical breakthroughs. Don gets the luxury of a family background to juggle with the unfolding workplace crisis, but the other men remain mostly office-dwelling creatures. The power struggle and tension builds to a nice sizzle, but the sub-plot involving Julia Tedway and her strained relationship with the deceased Avery never quite gains traction. Executive Suite frequently circles the theme of driven men sacrificing everything, and mostly their families, for the sake of corporate ladder-climbing. The women are victims of neglect, pining either secretly or openly for attention that they will not receive. Later the film explores the still relevant conflict at the heart of company priorities in the age of shareholders demanding instant gratification. Short-termism competes with loftier ideals of longevity and quality that demand investment in research and development. The stellar cast members share the screen time, with Fredric March leaving the biggest mark as Shaw schools his competitors in the art of backroom company politics. 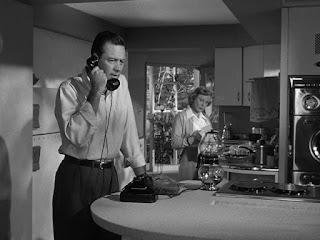 William Holden is less convincing as the waffling Walling, while the other actors are somewhat trapped in straightforward characters. 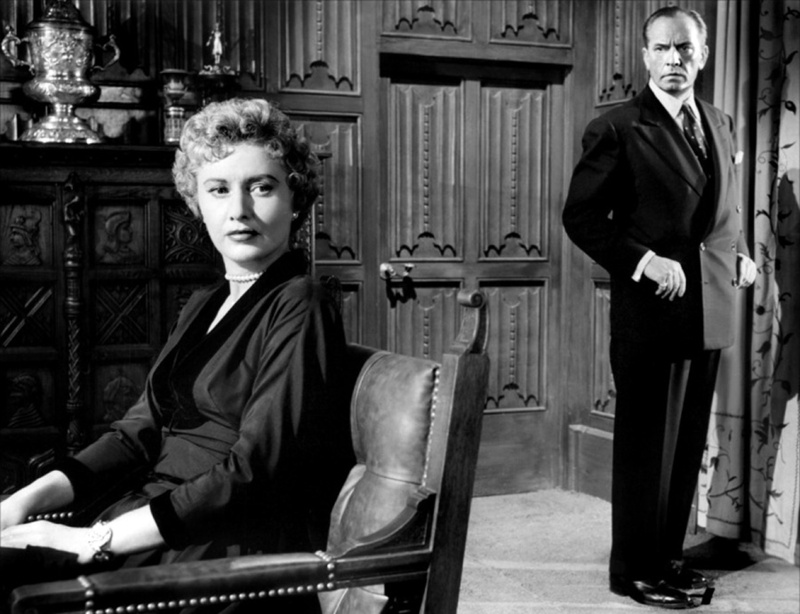 Barbara Stanwyck adds some drama as the economically powerful but emotionally weak link to the company's past, but her character is susceptible to slipping into melodramatics all too quickly. Dispassionate and cold, Executive Suite is as ruthlessly efficient as the business world it represents.